Webometric Analyst can be used to download images from Twitter or Tumblr. It will also create lists of the most frequently downloaded identical images. The process takes two stages: first download the Tumblr posts; and second, extract, download and count the images in the downloaded Tumblr posts. Images cannot be searched for in Tumblr by content and so you will need to search for relevant posts using keywords to match the text in the posts. 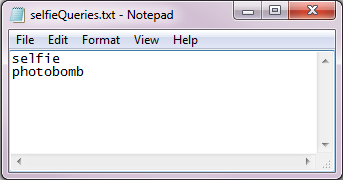 Create a plain text file with one or more keyword searches, each on a separate line. example. 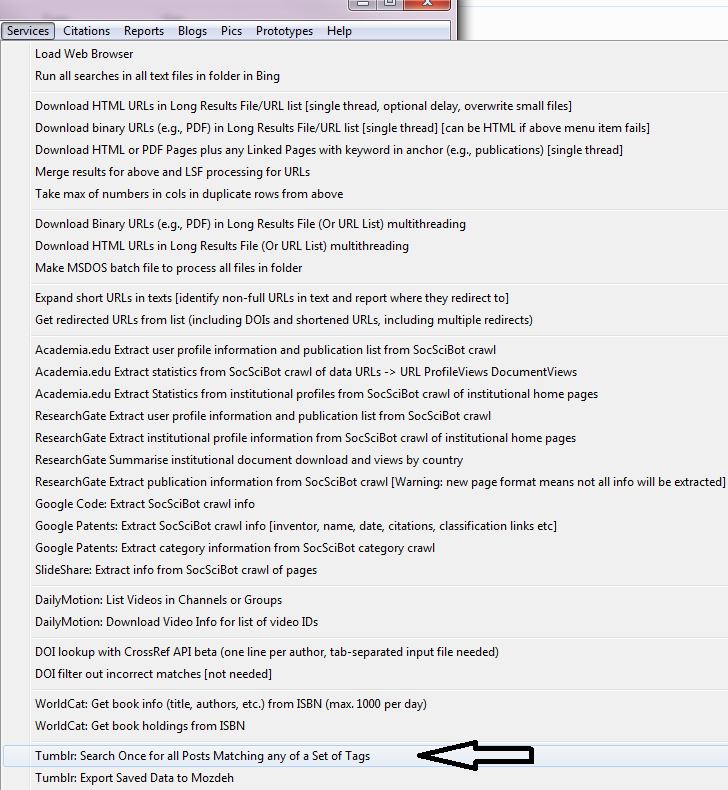 Now start Webometric Analyst, select the Twitter tab and select Search Tumblr Once from the Services menu, and select your file of searches, created as above. Accept the default answers to any questions that you are asked. Now wait for the Tumblr posts to arrive - this may take a few minutes. Webometric Analyst will scan the Tumblr posts for images and then download the images found. If you have downloaded hours or days of posts then it may take hours or days to download the images. It may also take up a lot of disk space to save all the images. 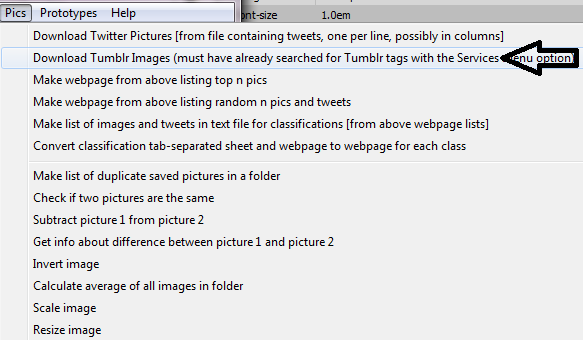 To download and count the images, start Webometric Analyst and select Download Tumblr Images from the Pics menu and choose the file of downloaded Tumblr posts. When Webometric Analyst has finished you will have a folder containing all the images in the posts, ignoring all posts without image links and all broken or missing links. You will also get a list of the most posted images, together with the associated posts, and a list of all posts and their images, both in the form of web pages. Here is an example of the files that Webometric Analyst will create. 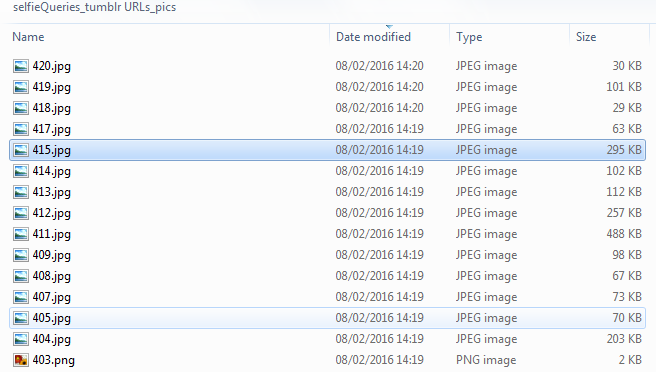 * a folder with all the downloaded pictures (selfieQueries_tumblr URLs_pics), each with a number - see below for an example.